We’re not perfect, but we’re making things better for parents at Struck. For most of our history, we’ve done better than the minimum for parental (maternity/paternity) leave. But not much better. We’ve offered mothers (or primary caregivers) 12 weeks away, but paid leave was based on accrued PTO and our efforts to maximize short-term disability insurance. For most parents, financial anxiety is already a huge part of having a child. And I’m afraid we didn’t do much to alleviate those concerns. This year, we’re doing something different. 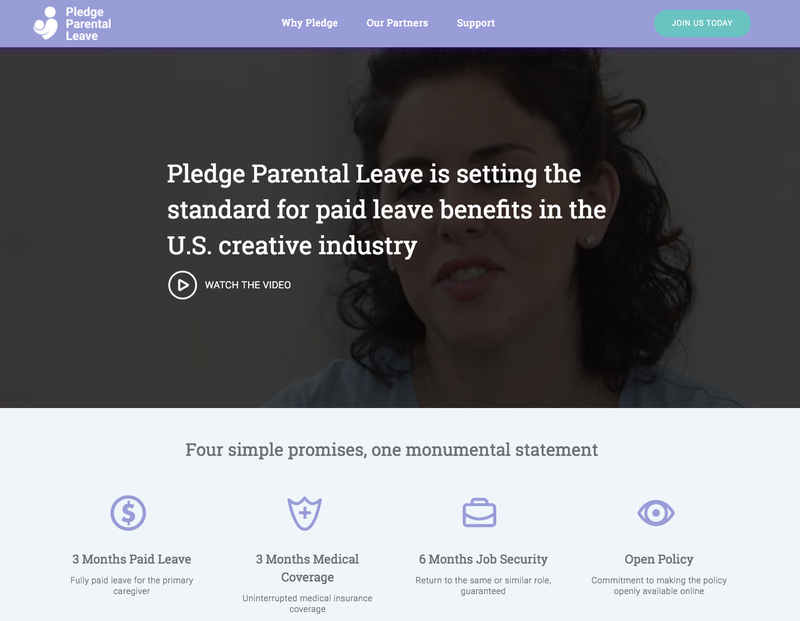 As part of our ongoing efforts to support women and other underrepresented groups at Struck, we’ve joined with the agencies and companies at Pledge Parental Leave to deliver a more complete (and more human) parental leave package for our employees. Primary caregivers will receive six months of job security, with three months of paid leave. Secondary caregivers receive two weeks of paid time off. I realize that other companies do more. But for an agency of our size, I’m proud of this commitment. It’s far beyond the minimum. And we believe it will be good for our business. Helping parents make a smooth transition to a new phase of their lives is something that I wish the companies I worked for early in my career had taken more seriously. I would’ve loved to have two weeks of paid leave to spend with my wife after she underwent c-section deliveries with each of our children. The only regret is that we didn’t do this sooner. We should’ve done more and we should’ve done it a long time ago. And that’s my challenge to other agencies, no matter your size. Especially if you’re independently owned (like Struck is). Just make it happen. Give your people the time and space they need to adjust to the new dynamics of parenthood. Don’t wait like we did. Matt Anderson is the CEO/ECD at Struck. He’s also a husband, a father, a San Francisco Giants fan, a vinyl collector and a book reader. You can find him on Twitter, LinkedIn and Instagram. Looking for more insights, facebooking, twittering, ramblings, musings and other thoughts? Follow our Greater Than collection.